“[…] Chinese for Affirmative Action, a group that advocates for civil rights for Chinese Americans, formed the collaborative as a way to partner with multi-racial, multilingual groups and reach as many parents in the African, Central and South American and Chinese immigrant communities as possible. The collaborative was formed in 2017 to educate and attempt to boost civic participation among immigrant communities in San Francisco, according to Hong Mei Pang, director of advocacy for CAA. It consists of the African Advocacy Network, CARECEN, CAA, Coleman Advocates for Children and Youth, La Raza Community Resource Center, Mission Economic Development and Mission Graduates. “[…] The City has already budgeted $2 million for the outreach effort, including $850,000 a year for nonprofits to do outreach work, such as walking door-to-door and holding events. A request for proposals to obtain the funding is expected to go out this spring. 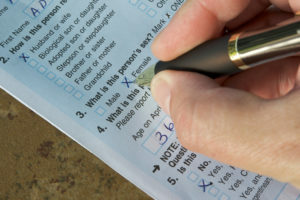 Efforts to ensure residents participate in the census are expected to begin in July. The City also plans to assemble a Complete Count Committee, as they did in 2009 for the 2010 census, by April. And The City will also open up later this year a Census Assistance Center at 27 Van Ness Ave., near City Hall. Hong Mei Pang, director of advocacy for Chinese for Affirmative Action, a nonprofit based in Chinatown that has helped with census counts since 1970, said that in the 2010 count they worked with other groups and the US Census Bureau to connect with 50,000 hard-to-count households. 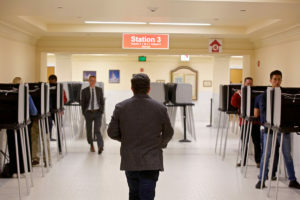 “[…] Arntz said San Francisco’s Office of Civic Engagement & Immigration Affairs is working with a set of local immigration support groups to provide advice and information for noncitizens, including those seeking to find out if their status might be potentially harmed by registering to vote. ‘Given the political climate, it’s so important that voters are aware that this visibility to the federal government is present,’ said Hong Mei Pang, director of advocacy for CAA. 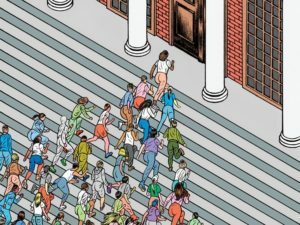 “[…] Vincent Pan, the co-head of Chinese for Affirmative Action, told me that when he describes affirmative action in terms of employment opportunities, or hiring more Asian-American judges or college faculty, people overwhelmingly support it. He rued how narrow the discussion had become, confined to a few places at the nation’s élite institutions. He pointed out that there are more Asian-Americans in San Francisco’s community colleges than in all the Ivy League schools combined. “[…] Public charge is used to evaluate immigrants at two junctures: when an individual is seeking to enter the United States and when an individual is applying for a green card. So, this new rule will affect legal residents as well as family members looking to join their relatives here. 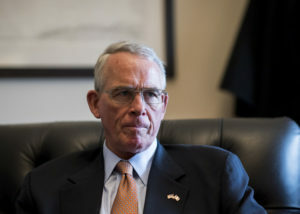 “[…] Cynthia Choi, co-executive director of Chinese for Affirmative Action and a member of End National Security Scapegoating, called Rooney “irresponsible” for “sanctioning” racial profiling. 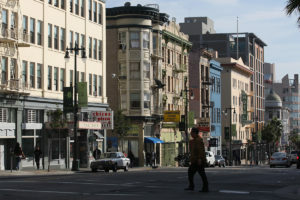 “[…] Unions and community advocates are pushing for a requirement to help local residents get some of the tens of thousands of new jobs the proposed Central SOMA plan will create through the development of hotels, office and retail space. Groups like Jobs with Justice, Chinese for Affirmative Action, Unite Here Local 2 are pushing for a ‘Good Jobs Employment Plan’ requirement for new large non-residential developments in the Central SoMa Plan area. The proposal is intended to help SoMa residents and disadvantaged residents secure jobs like security guards and custodians but also even engineering and programming jobs with tech companies. Op-Ed by Jane Chin, interim executive director of the Chinese Historical Society of America and Cynthia Choi, co-executive director of Chinese for Affirmative Action. 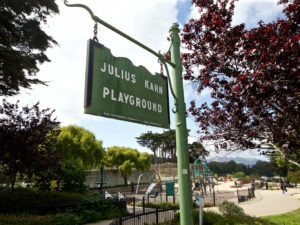 “[…] Congressman Julius Kahn represented San Francisco in the early 1900s until his death in 1924. He was an influential figure of his time and played a prominent role in the creation of a park that was named in his honor in 1926. But Kahn, using his great influence, also led the United States on a mission of exclusion and ethnic cleansing. The Chinese Exclusion Act, originally signed into law on May 6, 1882, extended by the Geary Act in 1892 and made permanent by the ‘Kahn Bill’ in 1902, excluded Chinese laborers from entering the U.S. under the purported fear that they endangered ‘the good order of certain localities.’ This act was the first time in American history that the country barred entry of a specific ethnic group.